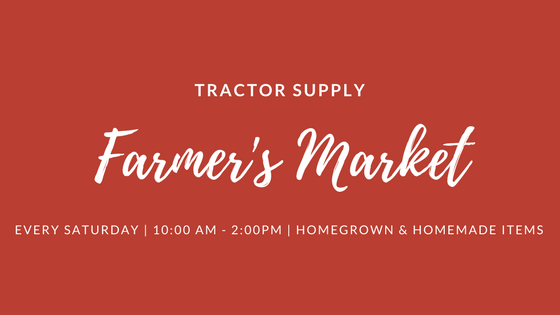 Tractor Supply of Brady, TX hosts a Saturday Farmer's Market every Saturday at Tractor Supply. The Farmer's Market will continue rain or shine through hot and cold weather (can be moved indoors). Locally homegrown and homemade items are welcome as are craft items with the impending season.